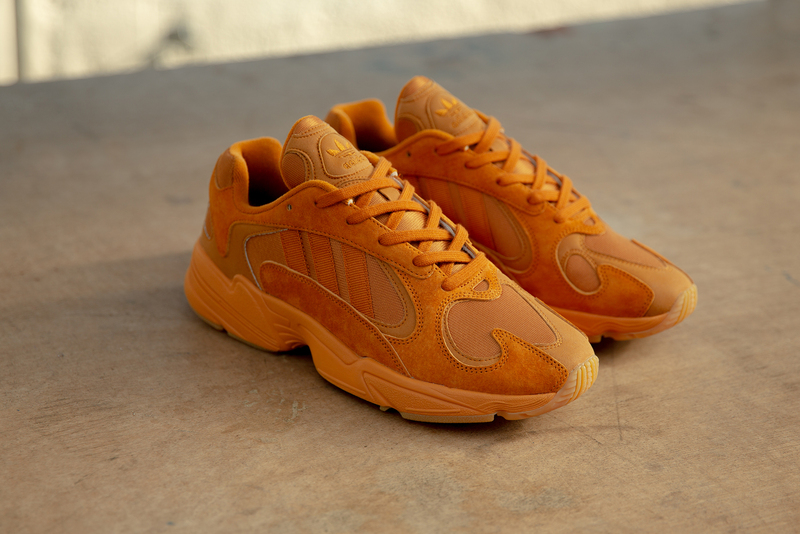 Following up on the release of the recent “Ivory” colourway, another adidas Originals YUNG-1 enters the scene, this time in a size? 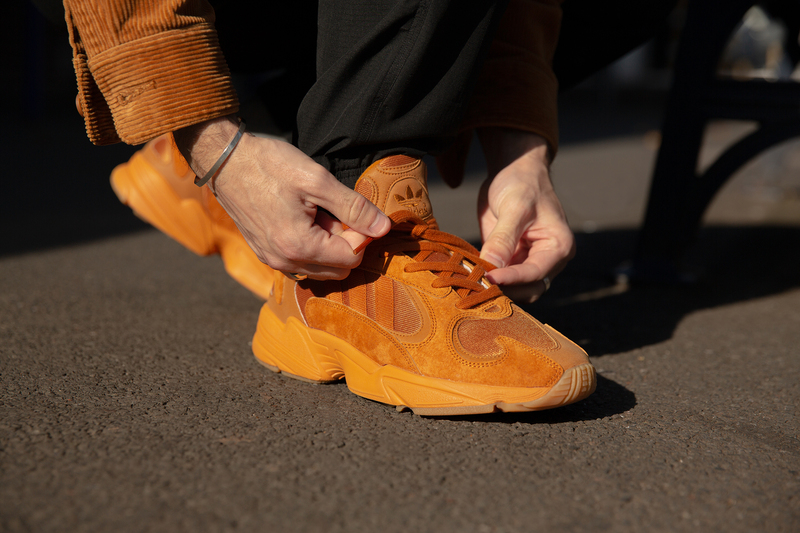 exclusive “Craft Ochre” colourway. 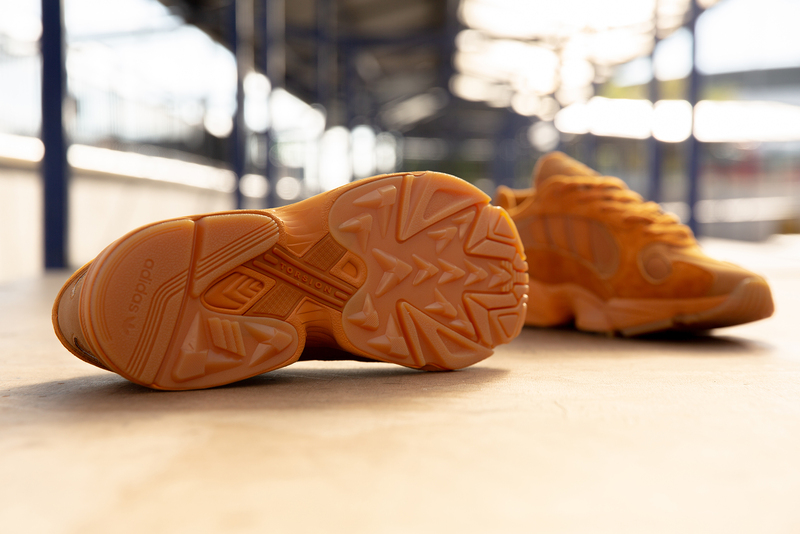 A reconfigured version of the original Falcon Dorf training shoe from 1998, the updated Yung-1 is strikingly accurate in appearance as far as retro releases go, albeit with a few branding tweaks that take the shoe away from the performance category and bring it into the Originals family. The first time around the Falcon Dorf sat in amongst an assortment of memorable shoes from the same era, including the Galaxy in all it’s different iterations, and runners from the iconic Equipment range. Returning in a slightly different guise for 2018, the Falcon Dorf’s influence is noticeable in the uppers, with the only obvious differences being the restructured tongue and removal of performance branding. Torsion technology sits inside the midsole, as it has done since the 90s, to provide support underfoot and improve cushioning. This latest size? exclusive colourway offers a vibrant version of the silhouette. 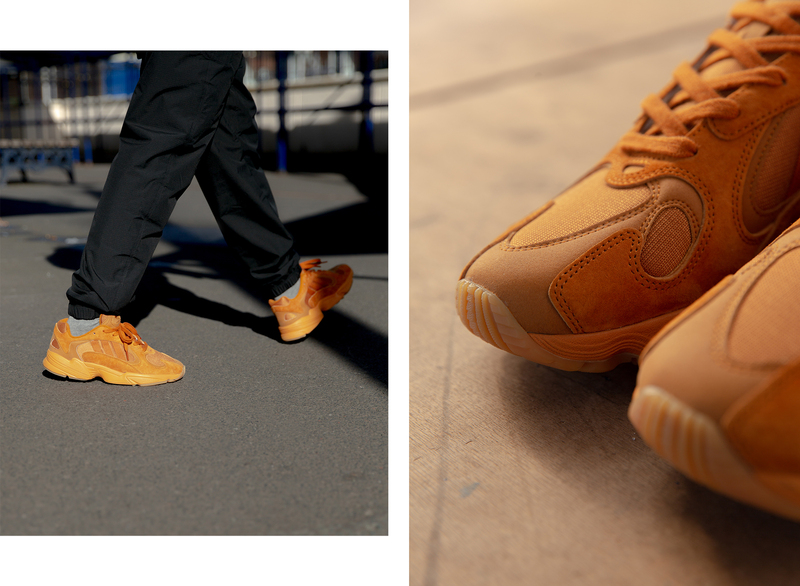 Rich shades of orange coat the shoe’s premium nubuck, suede and mesh uppers, and these striking shades continue to envelope the entirety of the midsole and gum outsole. The size? 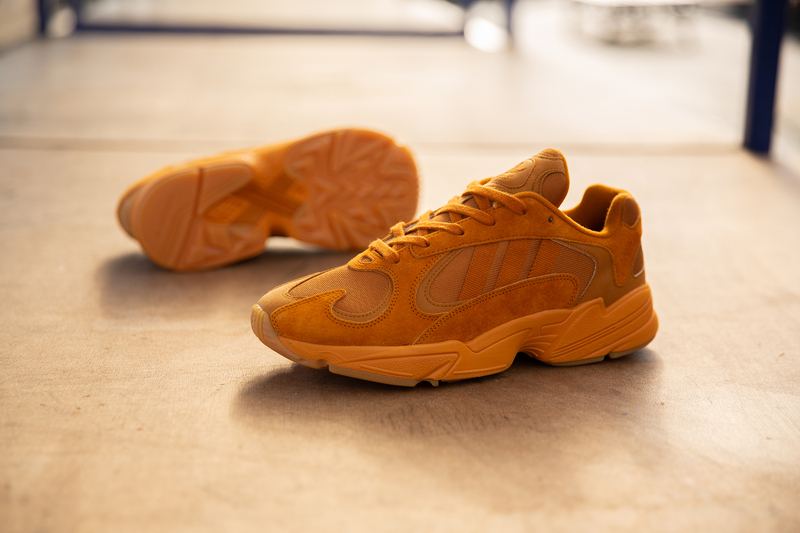 Exclusive adidas Originals YUNG-1 ‘Craft Ochre’ will be available via the size? Previews App and in size? stores on Saturday 20th October, priced at £110.